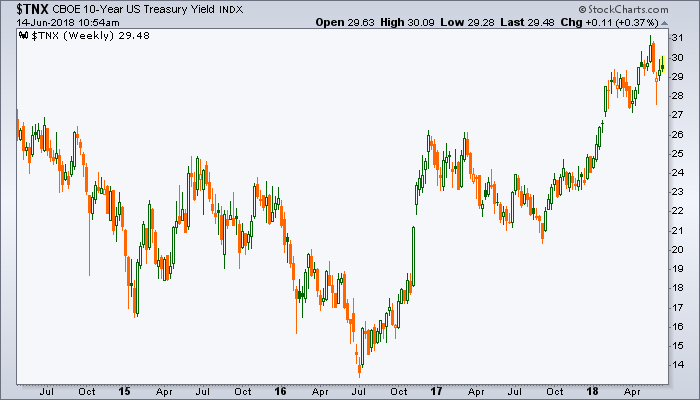 The balls out post-crisis inflation begun by Ben Bernanke was a massive market input and I suspect we have not yet seen its full effects � other than in US stock prices thus far. So dialing back to Q1 2016 let�s look at a few pictures, beginning with the Fed�s 10 year breakeven inflation rate, which bottomed� you guessed it, in Q1 2016. That means that �deflation expectations� topped at that time. 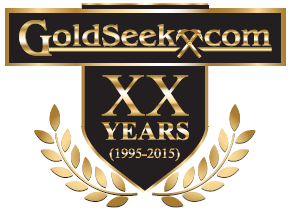 A month or so earlier gold had made its low, amid deflation�s last gasp. I often talk about how gold is not about inflation and that deserves a qualification. Gold is not only or even primarily about inflation, especially when the economy is doing well against an inflationary backdrop and interest rate dynamics are not favorable. 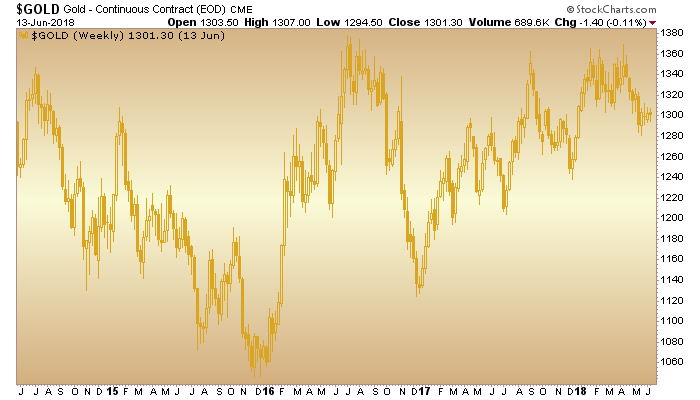 That is the case today, but gold led the whole show and it is marking time now (in its laborious post-2016 uptrend) perhaps for when the inflation starts to cut into the economy�s bones. 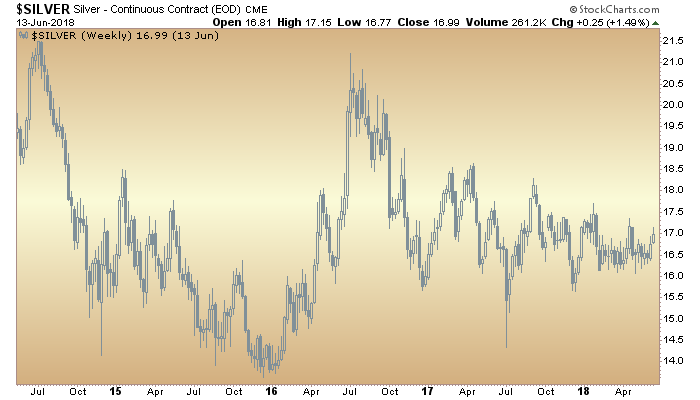 Silver on the other hand has more pro-cyclical utility and though it appears strange for silver to have been lagging gold during an inflationary economic expansion, the hysterics of the 2016 spike have needed to be worked off; and worked off they have been� for going on 2 years now. 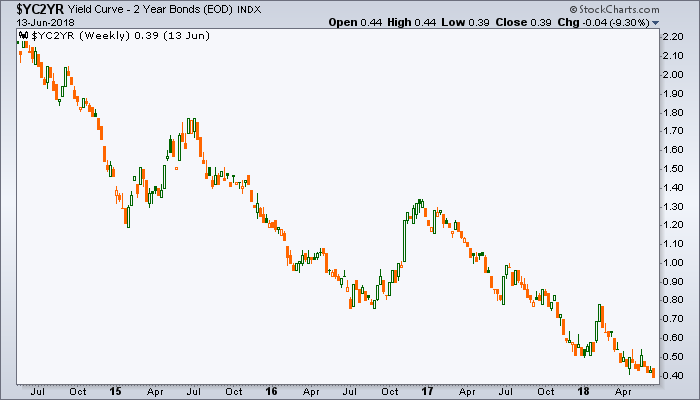 The 30 year yield bottomed in mid-2016 as well and has not quite reached our upside target of 3.3%. While I have beat people over the head stating that yields are not in a new secular phase until they are, well, in a new secular phase, if inflation is to take a dramatic upturn per all that Bernanke era input, the gurus that the media put in front of us like Gross and Gundlach (with a side of Tudor Jones & Dalio), may actually be right this time. 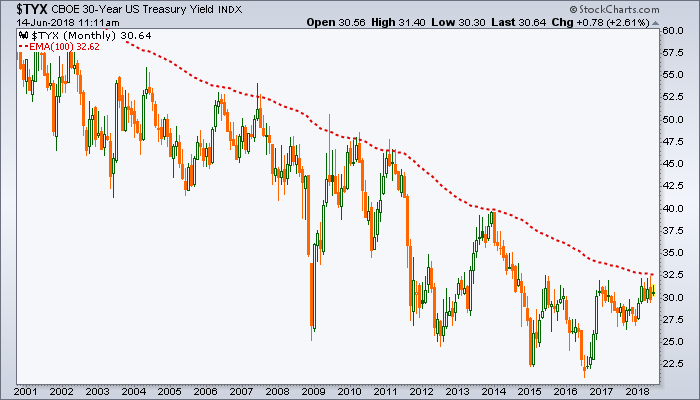 Watch the NFTRH Continuum � (30yr yield monthly chart) for signs that it could actually be different this time (unlike all those times in years and decades past). Meanwhile the 10yr-2yr yield curve is as flat as a pancake but can be watched in much the same way as the 30yr yield above. The yield curve can bottom and begin to steepen under pains of one of two conditions; deflationary stress, as money seeks liquidity in short-term Treasury instruments relative to long-term instruments; or inflationary fears, as money seeks to get the hell out of long-term bonds for fear of the debtor � good old Uncle Sam in this case � inflating away his obligations. Last I checked Uncle Sam is playing to a deficit spending playbook as costs rise across the economy. 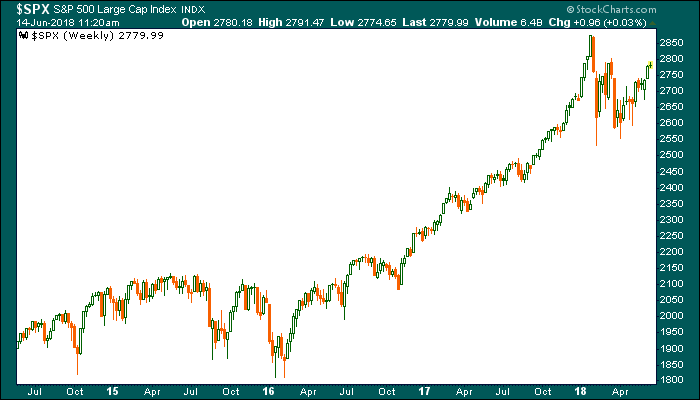 Finally, let�s take a look at the broad S&P 500. 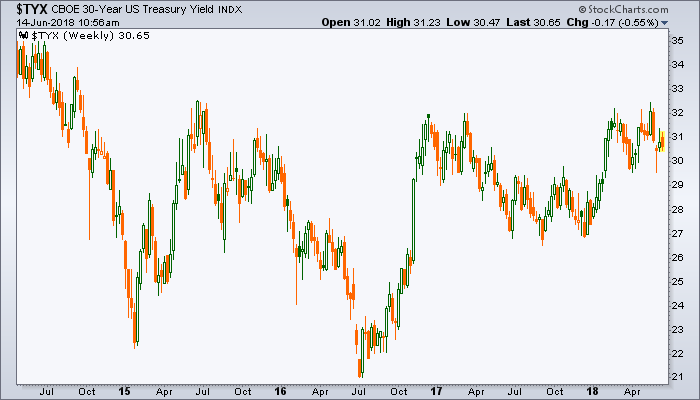 There is the Q1 2016 bottom and there is the big rally that ensued after the market realized that a fiscal inflator was elected president and that the game would be rigged left and right in favor of corporate America. Oh, but fiscal policy is working well now for the little guy, both for small business and the public. So assume the Good Ship Lollypop keeps on sailing forward; but also assume that inflationary effects and that whole raft of inflatables will keep on sailing as well. The die is cast, and the economy � if it is to move forward � will need continued inflation. If indeed we sail along to a new inflationary era, as stimulated and wooed by the Fed in its monetary policy (I know they are removing accommodation, but work with me here), and as stimulated by the government in its ongoing fiscal policy don�t be surprised by most boats being lifted on the inflationary tide, at least until the thing bloats and rolls over of its own heavy cost structures. But as always, we have indicators and markers for a reason. So maybe it is best to keep assumptions under wraps until some of the indicators noted above actually break to new and major macro signals. 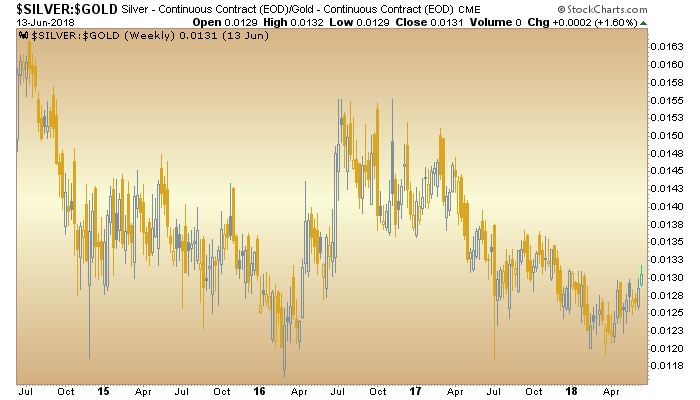 For now we are managing a bounce in the precious metals (and I personally, have an interest in silver�s forward prospects like I�ve not had in years) and an ongoing rally in various other inflatables. But even if a big time inflation is to carry the day, we are following some currently proprietary signals that indicate there will likely be a rude interruption along the way. I wish I could give a handy answer about which one or two indicators or signals to watch, or one or two simple answers to abide by. But that is not the way successful market management works. It is too complex a situation. So I�ll leave you with this thought; prepare to do the work of defining and refining the macro all along the way or have NFTRH do it for you. 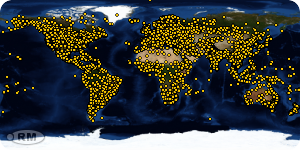 A lot of work and actionable market analysis for not a lot of cost. Oh and, in the current phase our stock selections (not recommendations mind you, but my holdings per the Trade Log) are working well too. Very well on balance. Now, how long will this phase last? Beuller?